Find out how physical exercise helps you if you have diabetes and what sports practice is most recommended. Physical exercise helps to control diabetes. Activate to gain in health, because in addition to helping to regulate blood sugar levels, it decreases the risks of suffering a complication of diabetes or cardiovascular disorder. We cannot forget that sedentarism is one of the main enemies of health, becoming more vulnerable to other problems behind which diabetes may appear, such as obesity. 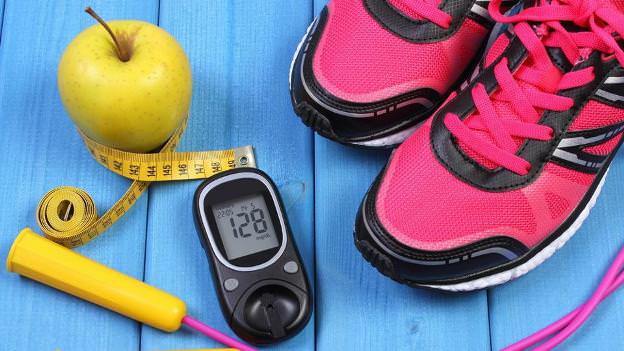 Can I do exercise if I have diabetes? You can, and should, do exercise if you have diabetes, logically adapted in intensity to the age, physical condition and health of each person. Different medical research supports one of the fundamental premises in health: sports. Physical exercise prevents the onset of diabetes and, if already diagnosed, promotes the control of blood sugar levels. Diabetics are more vulnerable to cardiovascular disorders, such as heart attack, atherosclerosis, heart failure, or stroke. The prevention and treatment of diabetes goes through reviewing the diet, maintaining a healthy weight and practicing physical exercise. Maintaining weight (in cases of being overweight is essential to reduce extra pounds). Increase energy and vital tone. Improve cholesterol levels and triglycerides. Reduce the daily needs for insulin or oral antidiabetic drugs. Before starting any type of physical activity it is advisable to check the levels of blood glucose, dose and type of insulin, which must be administered at least one hour before exercise. The activity that is practiced must be adjusted to the diagnosis and to our physical capacity, so it is advisable to consult the doctor about which exercise will be better to follow continuously, if we must readjust insulin doses before and after practicing sports and if we need an extra supply of carbohydrate-based food to avoid the risk of hypoglycemia (exercise decreases glucose levels when exercising). What exercises can I do if I have diabetes? Walk for 40 minutes at least 5 days a week. Practice swimming (15 minutes at a continuous pace three days a week).